In less than two years, 21 narcotics cases in Brampton have collapsed. Judges and defence lawyers point to problems in the federal prosecution office. 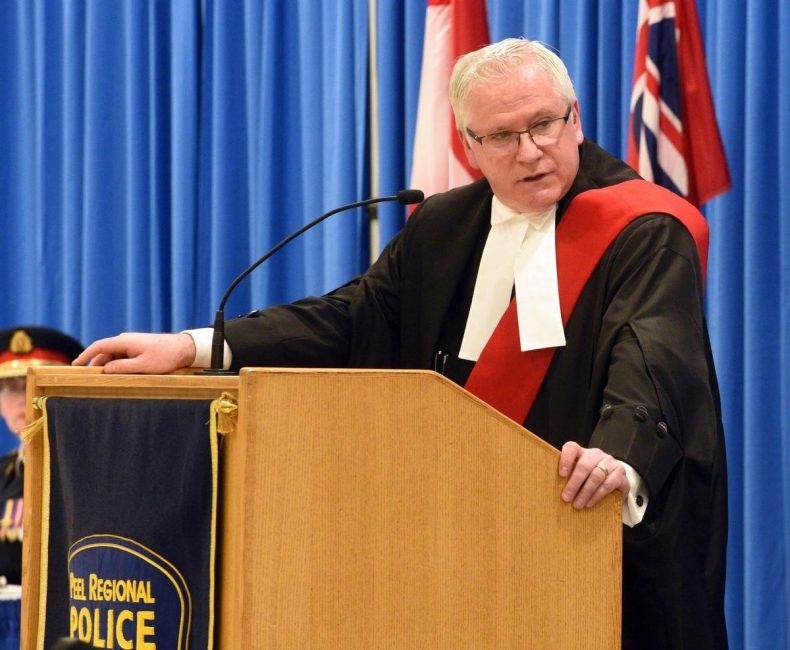 At the beginning of the year, a Brampton judge sounded the alarm over federal prosecutors taking far too long to disclose their evidence to the defence in drug cases, resulting in criminal charges being tossed due to delay. “There are other judges in this jurisdiction that have issued judicial condemnation about the period of time it has taken the federal prosecution service of Canada to complete the disclosure process to permit the parties to proceed and/or move the matter along in non-complex importing cases,” wrote Ontario Court Justice Paul O’Marra in a January ruling, staying a man’s heroin-related charges due to unreasonable delay in getting his case to trial. The issue of court delays across the country has come under heightened scrutiny since the Supreme Court of Canada, in a landmark 2016 ruling known as R v. Jordan, set strict timelines to complete a criminal case in order to meet the constitutional right of an accused person to be tried in a reasonable time: 18 months in provincial court and 30 months in Superior Court. Unless the Crown can prove there were exceptional circumstances for the delay, the case is tossed. As provincial governments pour millions of dollars into beefing up court resources and the federal government looks to amend the Criminal Code to speed up the trial process, judges and defence lawyers alike have pointed to serious delay issues in the Brampton office of the Public Prosecution Service of Canada (PPSC), the federal agency tasked with prosecuting drug offences. The fact that Brampton is one of the busiest court jurisdictions in Canada and handles a large amount of drug smuggling cases given its proximity to Pearson airport in Mississauga makes the problem of delay even more pressing. “The history of delay in Brampton is well documented and well known, to the point where the bench recognizes that kind of embarrassing feature of the courthouse,” said criminal defence lawyer Edward Prutschi. Between July 8, 2016, when the Supreme Court handed down the Jordan ruling, and April 6 judges in Brampton have tossed 11 drug-related cases due to delay, according to the PPSC. Federal prosecutors have also entered 10 stays in cases affected by delay, meaning the prosecutor chose not to proceed. “The PPSC is dedicated to ensuring that disclosure is collected and presented in a timely fashion and consistent with the timelines set by the recent jurisprudence,” said spokeswoman Nathalie Houle in an email. Meanwhile, the union representing federal prosecutors has complained that the Brampton office is overworked and has suffered from recruitment and retention problems, which is contributing to the delays. In at least seven of the 11 drug cases tossed in Brampton since 2016, delays in the disclosure process were either one of the reasons or the main reason for the overall delay that led to the case being thrown out, the Star found. Some of the cases involved smuggling offences (Justice O’Marra referred to two other such cases in his January ruling), but others dealt with different drug offences such as possession for the purpose of trafficking. “Cases stayed by the PPSC are the product of a decision-making process that considers the reasonable prospect of conviction,” Houle said. Crown attorneys are constitutionally obligated to disclose their evidence to the defence so that they can prepare their case, as guaranteed by an individual’s charter rights when charged with a crime. In that case, the accused was arrested in Markham after receiving a package containing 6.6 kilograms of opium sent from Istanbul via the United States. The RCMP had obtained judicial authorization to conduct a “controlled delivery” of the package after being alerted of its contents by U.S. customs agents, according to Duncan’s ruling. The judge, finding that the case was not complex, referred to what is known as the “information to obtain,” a document prepared by police outlining their case and submitted to a justice of the peace in order to get a warrant. Duncan found the ITO should have been disclosed very early in the process. ITOs are common in drug prosecutions, and the significant delay in disclosing them also contributed to the collapse of two other Brampton cases within months of the Supreme Court releasing the Jordan decision. In the first case, involving two people charged with possession for the purpose of trafficking drugs worth about $500,000, the nine-page ITO wasn’t disclosed to the defence until eight months after the arrest. “The Crown states that this was because the ITO had to be vetted to protect the identity of a confidential informant and the Crown’s office was short-staffed,” wrote then-Ontario Court Justice Andras Schreck, who has since been elevated to the Superior Court in Toronto, in a December 2016 ruling. Criminal defence lawyers have argued that some of the blame for the delay in cases rests at the feet of the police, as Crown attorneys first have to wait to get evidence from officers before vetting it and turning it over to the defence. “You can only surmise that the culture of complacency that was criticized by the Supreme Court of Canada has similarly infected the police agencies tasked with providing disclosure in a timely manner,” said Michael Lacy, president of the Criminal Lawyers’ Association. The president of the union representing federal prosecutors said the Brampton federal prosecution office has a history of being overworked and under-resourced, which can lead to delay. “If you have 70 per cent of your complement trying to do 100 per cent of the work, those folks are overtaxed ... and we have a retention problem because our salaries and working conditions are unfavourable compared to our counterparts,” said Ursula Hendel, president of the Association of Justice Counsel, referring to provincial Crown attorneys, who prosecute the bulk of criminal offences in Ontario. According to figures provided by the union, most federal prosecutors can receive a maximum annual salary of $138,000, compared to a maximum of $199,000 for provincial Crown attorneys doing comparable work. Hendel said there are a number of factors that can lead to disclosure delays, including finding the time to sit down with the police officer to vet an ITO to ensure there is nothing in it that refers to a confidential informant, a key feature in many drug prosecutions. “There are a lot of confidential informers in search warrants and drug files, it’s very loaded, you can’t get it wrong,” she said. She explained that recruiting and retaining senior Crowns has been particularly problematic in the Brampton office given the wage disparity versus the provincial Crown office, and she said there are less senior prosecutors readily available to review an ITO to ensure there is nothing in it that refers to a confidential informant. Like other criminal defence lawyers who have done drug cases in Brampton, Jennifer Penman said she found it hard to believe that delays in disclosure were mostly the result of resourcing issues. She represented one of three accused men in a marijuana grow operation, a case where the defence was still receiving disclosure nearly a year after the three men’s February 2013 arrest. In a ruling delivered in April 2016, just two months before the Jordan ruling and so using the previous framework to calculate delay in a criminal case, Superior Court Justice John Sproat blasted the federal prosecution office for the disclosure problems. Penman told the Star that getting the ITO in the case “took forever,” saying that the vetting process involving the Crown and police should be relatively simple in many cases. She chalked up the problem to attitude. The above Article is Courtesy -The Star.